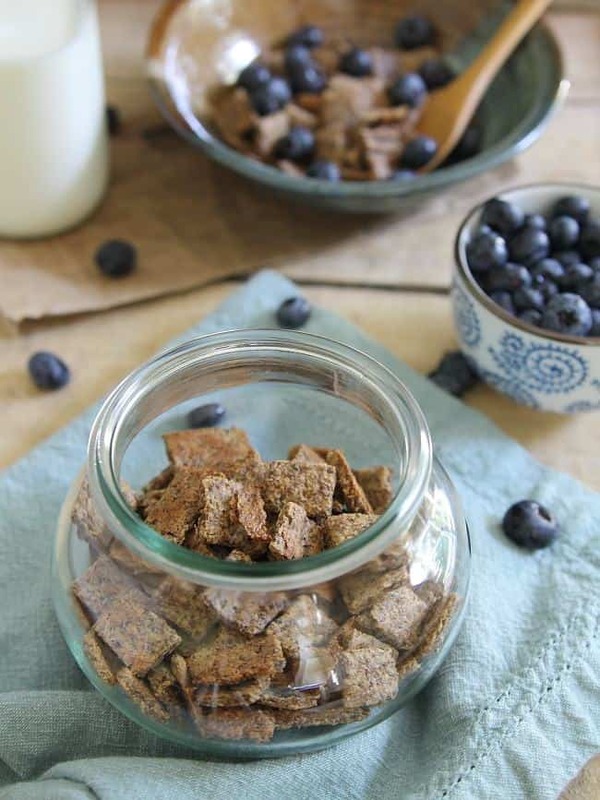 This healthy cinnamon crunch cereal is made with nuts and seeds for a high protein, full of good fats breakfast in a bowl. For as much as I love to sleep in, my absolute favorite part of the day is the morning. Breakfast is my favorite meal and my kitchen is my favorite place in the house. It’s a win win. Like I mentioned a couple of weeks ago, we just bought a new refrigerator after 6 years of misery with our old side by side. I was even excited to re-organize (and throw away some funky looking food items hiding in the back for a few weeks months too long) the shelves as I put everything back in, it was kind of like a real life game of tetris. For now, I’m riding it’s brand new high. That might change when the credit card bill comes in though. 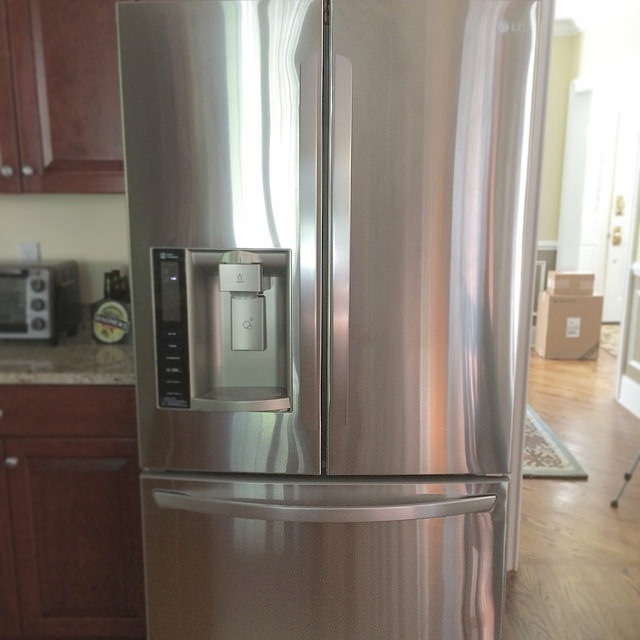 So when I was just recently approached by LG to talk about how life’s good in the kitchen, I literally almost laughed out loud while reading the email because seriously, could the timing BE more perfect having just bought my brand new LG fridge? With a new fridge waiting for me downstairs, I woke up early the other morning and decided to make my own cereal. I get really giddy about homemade cereal because honestly, who would’ve thought it was so damn easy to make?! All these years of expensive boxed stuff (usually filled with crap nonetheless) and I could’ve made it on my own. These vanilla almond cereal puffs are one of my all-time favorite recipes on the blog but this time I went in a different direction. 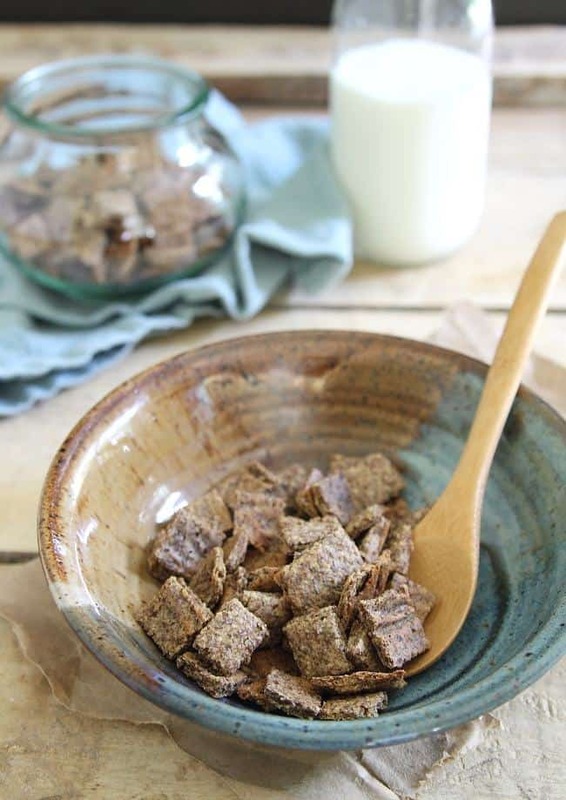 Think cinnamon toast crunch meets shredded wheat except there is no wheat. 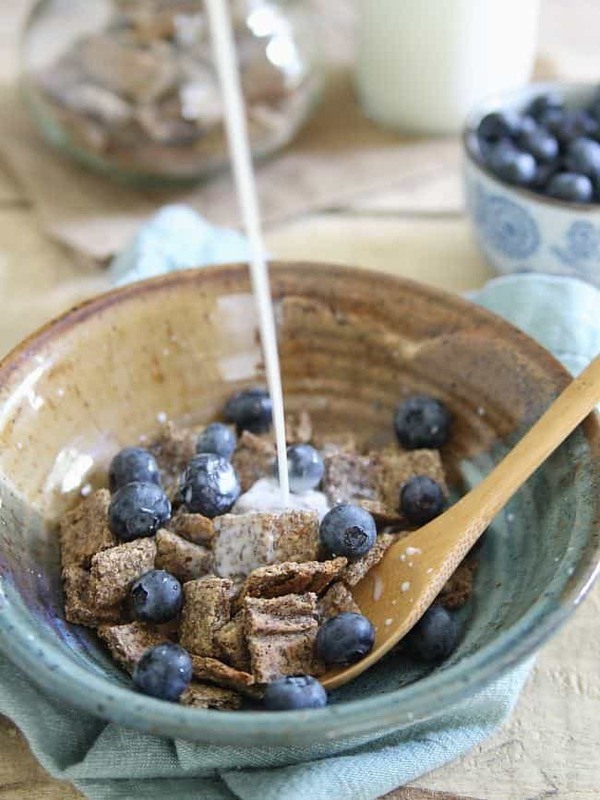 This cereal is full of seeds and nuts and packs a good-for-you fat and protein punch. It’s perfectly cinnamon-y and crispy enough so that it stands its own with some milk in the bowl. If there’s anything better than a morning in the kitchen with a brand new appliance making your own cereal as you sip coffee, I’m not sure I know what it is. Combine the flaxseed meal, almond meal, cashew meal, hemp seeds and cinnamon in a food processor and process until well combined. Add the coconut oil to the process and with it running, slowly add the orange juice until a smooth paste forms. Line a baking sheet with parchment paper and spread the mixture out evenly into a rectangular shape so that it's about 1/16" thick. If you don't have an off-set spatula, I recommend putting the parchment on a non-rimmed baking sheet or using the back of a rimmed backing sheet to make it easier to spread with a spatula. Bake for 15 minutes, then lower the temperature to 275 degrees and bake another 10 minutes. Remove from oven, use a pizza cutter to cut into small squares. Turn the oven off and return the baking sheet to the oven for 1-2 hours to dry out and crisp up. Squares should break apart easily once dried. You can make both almond and cashew meal by simply grinding the nuts into a meal/flour consistency in your food processor. For the purpose of this recipe, it doesn't need to be super fine. This is a sponsored conversation written by me on behalf of LG. The opinions and text are all mine. Can you sub apple juice for orange juice in this recipe?